Honored to be interviewed by hospitality Interiors. Please consider us for your restaurant, Senior living or hospitality project. Customs are a daily occurrence. Thank you. 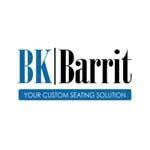 Bryson Kershner of BK Barrit discusses the company’s broad furniture…..